“A stolen ring buoy ~ a stolen life”. Volunteers spent the day recovering ring buoys that were maliciously discarded along our City’s quays. Remember, interfering with life saving equipment is a criminal offence. 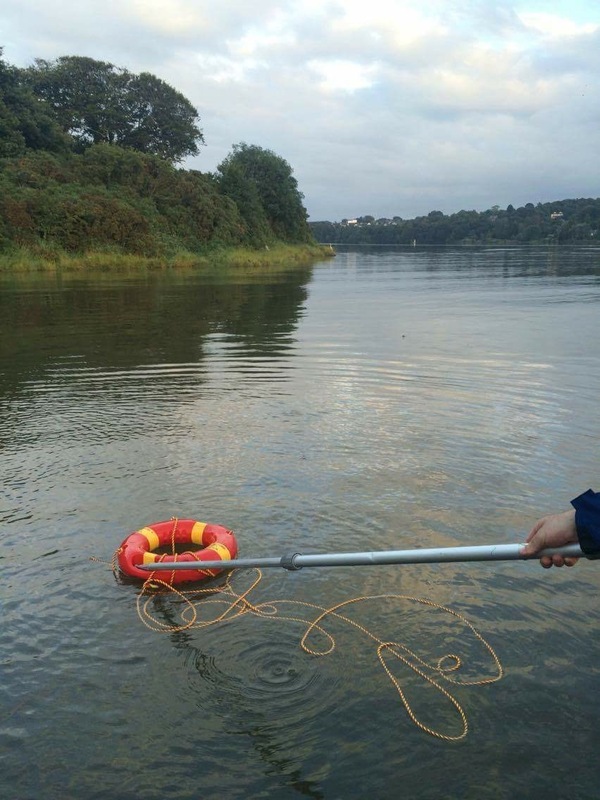 Please report any such activity to Waterford Garda Station on 051-305300. “A stolen ring buoy ~ a stolen life”. 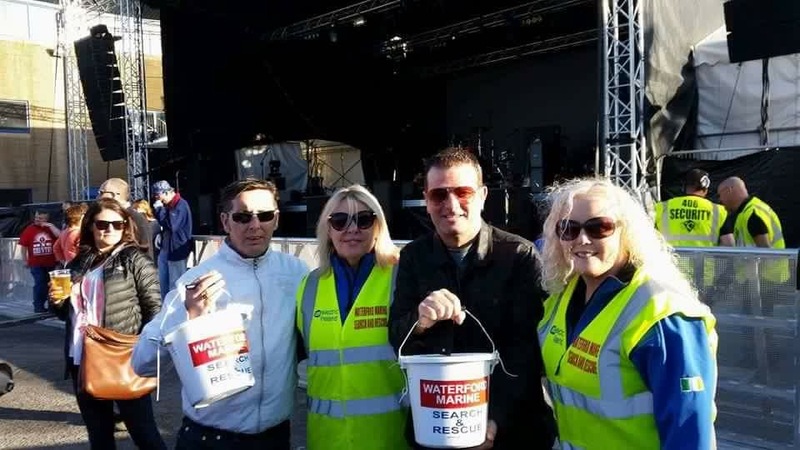 Our crews attended the Daytripper festival here in Waterford City over the weekend for our bucket collection. 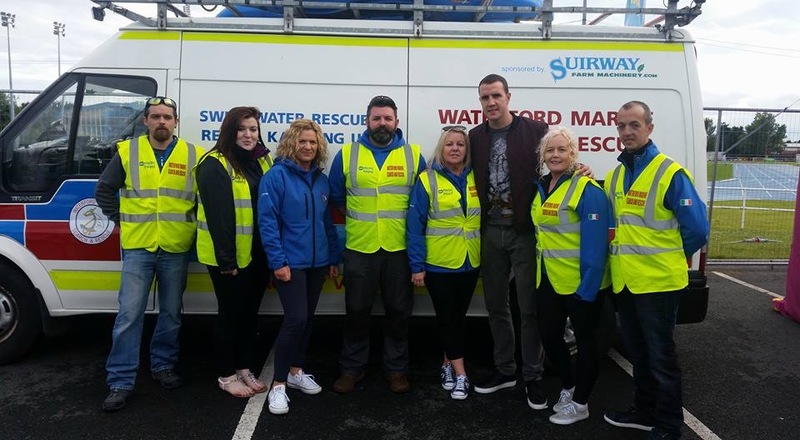 Christy Dignam and Billy Mcguinness of Aslan decided to pitch in and give a helping hand with our crews.  We would like to thank the kindness of the people of Waterford who’s generosity and good wishes at the festival has been nothing short of amazing. 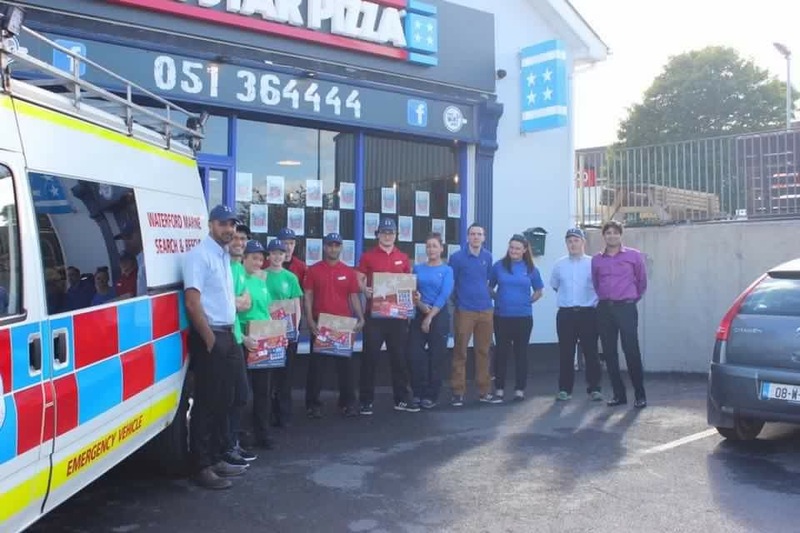 Waterford Marine Search and Rescue would like to thank Michael and all the crew at Four Star Pizza Waterford for their very generous donations of piping hot pizzas every weekend to all our crews to keep them warm as they carry out their Suicide Prevention Patrols.